My advice is always to customize your resume for each job opportunity, but how can you keep track of everything? 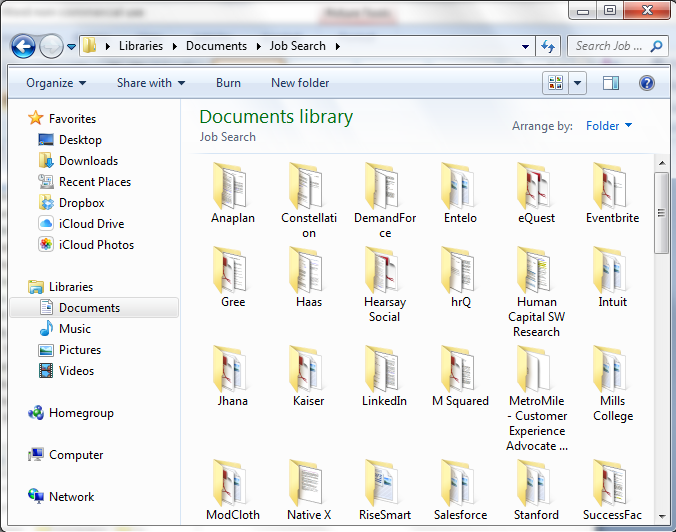 Create a document folder for each position that you submit a resume for. In this folder include the resume version you submitted for that job plus a copy of the job description, cover letter, and any other related documentation or correspondence. Be sure to save a copy of the full job description rather than just the url to the online posting as the posting may be removed from the company’s web site at any time. You may add a date if you’d like but it’s much less important since you can always check the date the document was created and most recently modified using the Properties feature. Finally, you should create an Excel spreadsheet to track your job search progress and include the following information. You can find a sample of what this may look like on the Career Insiders web site. Sort the list according to Date of Next Action to Take. It’s important to keep your tracking spreadsheet up to date. I’ve found that clients who do this make more progress in their search if only because they have a written plan which specifies what they need to do next and when. In this way, they keep themselves accountable. There is advice everywhere you turn about how to prepare answers to questions you’ll be asked in an interview. There is less said about questions you should ask…and not ask. It is my contention that interviewers learn as much about you from the questions you ask as from the answers you give to their questions. It is crucial that you have intelligent, well thought out questions to ask. Never say no to Do you have any questions for me? Your questions should indicate that you understand the role and are knowledgeable about the organization. Picture yourself in the job – what would you want to know. I like organizational questions. Can you please tell me about your organization – how many employees and what are their roles? You’re asking for a verbal org chart. What would you say are the strengths of your team? What’s working well? Where are the weaknesses, areas where you can use some help? Depending on the answer, this is a good time to explain how you may be able to help them in those functions. What other departments does your team [or this role] interact with and how is that going? Another excellent way to convey what you know about the organization is to preface your question with something you’ve learned from your research. I understand that name-of-company has made a number of acquisitions in the past year. How have these impacted your team? From what I understand, your leading competitors are X and Y but that you are gaining market share. What would you say is your competitive edge? There are some questions that you should not ask, specifically something negative like, I’ve noticed that name-of-company’s stock has been declining steadily. 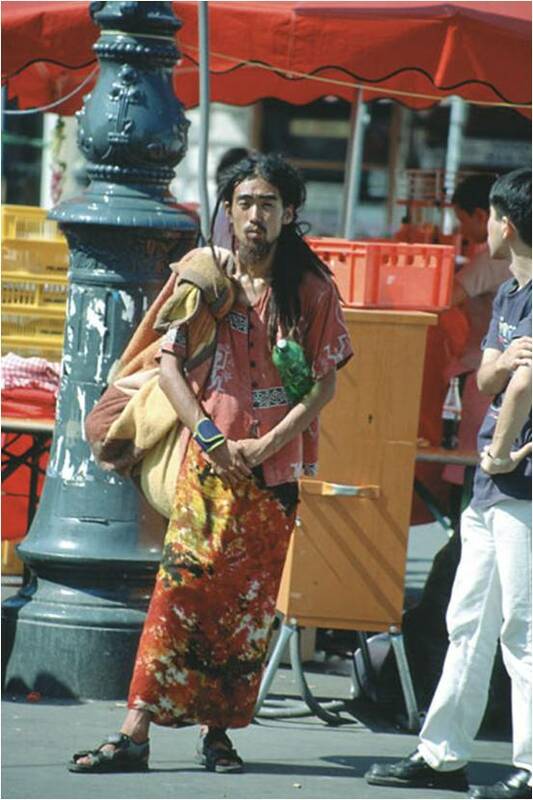 What’s wrong? If you’ve received an offer or getting close to it, then you can do more due diligence prior to making a decision. I advise my clients not to ask about company culture and I receive a lot of pushback. I ask them what it is they really want to know. Companies like Google that have distinct cultures they’re proud of have made it well known and/or will offer it to you without your asking. Are you wondering about benefits and perks such as a game room and catered meals? Are you wondering if working long hours is expected on a regular basis? You already know that neither of these are questions you should ask in an interview. What’s more important is how the interviewer will interpret your question. There’s too great a chance there will be a miscommunication. Learn the culture by doing research, both online and talking with people who work or have worked there. Even better, make it a point to pay attention to what’s going on in the office when you’re on site. Ask the people you meet what they like/don’t like about working there. Overall, you should stick with questions like those above that relate to the job and company. You’ll come across intelligent and thoughtful. Good luck! Career Insiders’ Talent Acquisition services are focused on executive and senior management level positions in sales/marketing, finance, technology, corporate legal, and HR. Mauri has an MBA from the Haas School of Business, University of California, Berkeley and a BS in Mathematics from Tulane University. 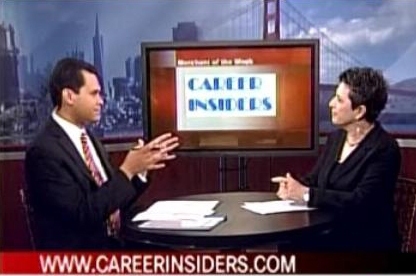 Career Insiders has been certified by the City and County of San Francisco as as a Small – Local – Woman-owned enterprise S/L/WBE. Contact Mauri directly at Mauri@CareerInsiders.com. Get Your Groove On and Ace That Interview! Yes, I mean it. After you’ve prepared as much as you think you can for that critical interview with the Executive Director, what can you do to calm down? I propose two ways to eliminate the anxiety that creeps in and prevents you from performing at your best. Music and comedy. I’ve never seen these recommended anywhere else, but they work…trust me. While on your way and/or while you wait in the coffee shop next door (remember my admonishments in previous postings not to arrive too early), listen to some of your favorite upbeat music, whatever makes you feel the best. Most of us have experienced the incredible, mood-altering power of music. Dozens of research studies have shown that listening to music can lower blood pressure and reduce anxiety. One even found that listening to music works as well as a massage at lowering anxiety! The Mayo Clinic points out that music can have effects ranging from reducing feelings of physical pain to boosting memory. A doctoral thesis from the University of Gothenburg reveals that listening to music every day lowers stress. The thesis was based on the results of two studies which showed that people who listened to music also felt positive emotions. Other studies show that listening to music improves cognitive performance and helps people execute better in high-pressure situations. These are all qualities that make for a strong interview performance. Use one or both, but not simultaneously, before your next interview and revel in how much better the outcome is. Mauri has an MBA from the Haas School of Business, University of California, Berkeley and a BS in Mathematics from Tulane University. Career Insiders has been certified by the City and County of San Francisco as as a Small – Local – Woman-owned enterprise S/L/WBE. Contact Mauri directly at Mauri@CareerInsiders.com. 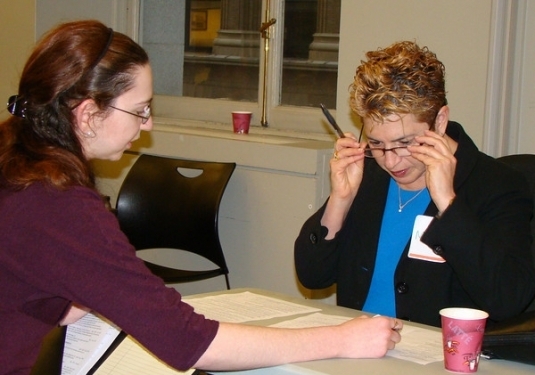 What can you do about ageism in hiring? I don’t believe there is one right number. I think those who advise a set number of years, such as 10 or 15, do so because it is simpler to recommend a one-size-fits-all than to advise on an individual basis. There are many guidelines that are common to nearly all job seekers, but everyone has something that calls for special attention. In addition to these particulars, other variables include how much experience is deemed appropriate for a specific industry, company, function, or job level. Unfortunately, age discrimination does exist, primarily against older workers, but often it is against younger employees. If it is age discrimination, which we all know is illegal, it is usually nearly impossible to prove. 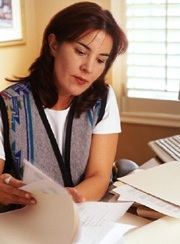 For older workers, I have found that in most cases, the issue is not tied to an age number. It may be the expectation that a more senior candidate will require a higher compensation than someone earlier in their career. Or, there is a concern that an older candidate may be approaching retirement, and so will only stay employed for a few years. However, the average job tenure among employees of all ages is less than five years (last recorded in 2012 by the US Department of Labor), and just over three years for those younger than forty. I think the primary reason may be that the employer assumes that someone who is older has tired, stale ideas and ways of performing the job and has less energy and enthusiasm. These are factors that you can and should eliminate with your actual behavior, body language and voice during an interview, even when it is on the phone. But, you must first get the interview which means that you do not want to give them any reason for discarding your resume on first glance. For those who have been out of college at the undergraduate level for 12-20 years or more, I would omit graduation dates. In general, 12-18 years of experience is the time span I recommend, depending on the variables mentioned above (industry, company, function, job level) as well as how pertinent the particular experience is to the position you seek. My advice is to include only achievements that are relevant to your targeted role, even in your more recent experience. It’s true that many aren’t cut out for their current careers or find they have a strong passion for another field, and should be making efforts to take on something new. However, most of the time, they can achieve change, and job satisfaction, without taking such drastic action. It is essential for someone in this situation to dig deep to discover the real reason s/he is unhappy before proceeding down a path to change careers. Accordingly, a career coach or counselor should initiate such a conversation before proceeding to help her/his client pursue a new career path. Keep in mind that organizations hire you because you’ve proven from your experience and achievements that you can be successful in their organization…not for what you think you can do. This is especially true today’s tight job market. Are you not getting enough recognition/respect from your manager? Upper management? Your colleagues? Are you not getting paid enough…or what you think you should be getting? Are you working too many long days, nights, and weekends? Are you required to travel much more than you’d like? Are you commuting much more than you’d like? Do you have the necessary skills and/or tools to be successful? Are you spending too much of your time doing tasks that you hate? Do you have ethical or moral conflicts with your manager or the company? If I could change anything about my job what would it be? Is there a realistic chance of getting this change made? There are several options to take before giving up entirely on your current career. Have a conversation with your manager and ask if there is a way to get what you need. Look for other opportunities in the same company. Look for similar opportunities in a different company, industry, or location. As Barbara Safani, owner of a NY career management firm, said in a New York Times article a while back, ’A lot of people who say that they hate what they do actually hate who they do it for. If after doing this analysis, you still feel strongly about pursuing another career, perform your due diligence. Thoroughly research the field and talk to people in the field to learn what it’s really like. What education or skills do I need to acquire? What are the costs involved – financial, time, other? Can I afford these costs? Am I willing to start at the bottom again? LinkedIn recently announced its 2013 Top 10 Overused Buzzwords in member profiles. One of them is “responsible.” Why is this not a good word to use? What are good words to use in a resume or profile instead of “responsible,” and what are some good words to use to make your resume stand out? I agree wholeheartedly with LinkedIn on this issue and have always advised against using the word “responsible” as in “Responsible for conducting surveys, updating spreadsheets, and producing reports.” First, it is unclear as to whether or not you actually performed these tasks or if you managed one or more employees who did. If you did perform these activities, then you should just say so. Use this opportunity to describe your actions and their results as in the example below. Your resume shouldn’t be just a list of your job duties. ◾ Conducted surveys of all new employees, approximately 500, for the first quarter of 2013, completing this task in half the usual time by implementing an online survey application. ◾ Input respondent data into spreadsheet offering an immediate comparison with surveys from Q1 2012. ◾ Formatted, printed and compiled survey details and summary data into executive reports and delivered to senior management. ◾ Managed execution and reporting of quarterly survey of new employees, averaging 500/quarter. ◾ Obtained Vice President’s approval to implement SurveyMonkey as our first web-based survey solution, completing the entire survey process in half the usual time. You will want to use vocabulary that presents your achievements in the best light, ones that indicate that you accomplished something that someone else in your position may not have been able to do, that you made a difference. Describe the results of your actions as compared to previous results or compared to other companies in your industry, but only if the comparisons are positive for you. Include situations when you introduced a process that improved the way work was getting done. The holidays are coming up and many people think they should give their job search a break. While it is true that there is less hiring activity because many people take vacations, it is wrong to assume that nothing gets done. With the economy the way it is, people are not taking as much vacation time as they may have in the past. And that includes hiring managers. While many job seekers are taking this time off, why don’t you use this opportunity to take advantage of a bit less competition? In addition, this is a good time to engage professional help as most job search expenses are tax deductible (check with the IRS for details). Services you purchase before December 31 will be tax deductible for 2013. The holiday period is a terrific time for networking…parties, parties, parties. It is a great excuse to contact people you haven’t seen all year. Send out holiday greetings, invite people out or over. If you are invited to parties, GO! Host a party yourself. Being among your friends will lift your spirits and your self confidence. Send holiday greetings by email to those companies you haven’t heard from in a while. Use this as an excuse to make an additional follow-up connection. When you attend events, plan ahead. Think about the people you know who will probably be there. Prepare your “elevator speech” but in a lighter more social tone. Again, ask them about themselves, what they have been doing, etc. and let them know about your job search. Also consider that there may be people whom you don’t know as well and make it a point to meet as many of them as possible. One of my favorite sayings about networking is that whenever there are two or more people, it’s a networking event! Be sure to collect business cards so that you can follow up as soon as possible. You may add a date if you’d like but it’s much less important. Finally, you should create an Excel spreadsheet to track your job search progress and include the following information. It’s important to keep your tracking spreadsheet up to date. I’ve found that clients who do this make more progress in their search if only because they have a written plan which specifies what they need to do next and when. In this way, they keep themselves accountable. Recently, a recruiter friend of mine told me that her client was preparing to extend a job offer to one of her candidates after a round of successful interviews. As news of the offer was being communicated to my friend to forward to the candidate, the client received an email from the candidate thanking her for the opportunity to interview. Proper etiquette, right? However, in the candidate’s message, she came across as arrogant, rude, and careless as her message included misspellings and grammatical errors, and related in detail all the processes that she would change in her first few weeks on the job. Naturally, the hiring manager was offended, changed his mind and rescinded the offer. This story caused me to think that it would be good to talk more about job search etiquette. Here are four key areas of interaction to consider when conducting a job search, or any time for that matter. Offer to help; focus on the ‘give’ side of a 2-way ‘give and take’ exchange. When you make new contacts at networking events or when you reach out to your existing contacts, think first about how you can help them in their endeavors, whether they be career related or not. Keep in mind that supporting someone in an endeavor automatically makes that person want to return the favor. I call this Networking Karma. Be respectful of your contact’s time and make it comfortable for that person to say yes. Don’t ask for a job; ask for advice. Everyone has advice and is happy to give it. Furthermore, you are paying her a compliment by implying that she is an expert. Everywhere I look, career experts are advising job seekers to ask for informational interviews. I agree with the concept but disagree with the wording of the request. An informational interview conjures up a 30-60 minute meeting which resembles an interview but for which there is no open position that can be offered to you. This can make your contacts feel somewhat uncomfortable, first about committing so much time and then for feeling that you expect more than they can give. I’m not saying this is actually what you expect, but it is the thought process that often occurs. So I say ask for a chat, which is defined as an ‘informal conversation or talk conducted in an easy familiar manner’ and implies a much shorter amount of time, for which it will be easier to get a contact to commit. Everyone knows that you should be on time for a meeting; do not keep your contact waiting. If you are meeting that person in her office, you should also beware of arriving too early. Since you are a guest in her space, she may feel responsible for meeting with you earlier than planned and uncomfortable if she can’t. If you’re sitting in the reception area for a long time, you also make other people in the office uncomfortable, and you will end up feeling awkward as well. Arrive only about 5 minutes before your designated meeting time. Be prepared, know what you want to discuss and be clear about what you would like for this person to do for you. Don’t make them figure it out. Don’t shove your resume in front of her and expect her to figure out what type of job you should seek. Listen and be patient, pay attention to what the person is telling you and show your appreciation for her insight without countering every suggestion with an excuse. I really don’t have to say that your cell phone should be off and out of sight, do I? 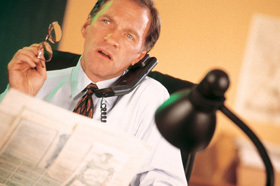 3) On the Phone – Pretend this is a face-to-face meeting and follow all my recommendations above. If you are leaving a voice message, make it short and to the point. Follow it up with an email if you have a lot to say. I have a colleague who not only shows up early for all our meetings but calls a couple of minutes in advance of our scheduled phone appointments. This drives me crazy, and I recommend that you call one or two minutes after your scheduled time to give the other person a chance to be ready for you. 4) In Writing – There will be numerous occasions to send thank you messages. 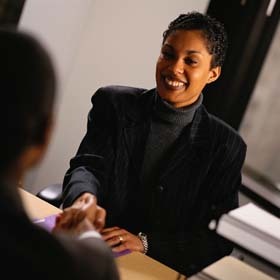 Always do so immediately after meeting with someone, whether it is for an interview or networking. When you’ve landed your new position and your job search is over, don’t forget to go back again and thank all those people who have helped you in any way. Whatever type of message you are sending – thank you notes, cover letters, or other correspondence, be polite and make sure that you thoroughly check for spelling and grammatical errors. Do not use text-like abbreviations such as BTW, FYI, etc. And don’t use texting or twitter to convey any of these messages. Texting is okay when the other person has used texting to contact you, but still beware of using texting abbreviations. Here’s an extra tip: When using a formal salutation that includes Ms or Mr, follow it only with the person’s last name. I am continually surprised by the number of people who will begin a letter with Dear Ms Mauri Schwartz when the correct way is Dear Ms Schwartz. I recently interviewed with an agency recruiter who said that I should put that I have an MA degree on my resume because I have completed all the coursework but haven’t written my dissertation. He also recommended that I exaggerate the work I did at one of my jobs. What do you think? I hold strong to the belief that George Washington was right when he said “I cannot tell a lie. It was I who chopped down the cherry tree.” Above all, your integrity is the most essential asset you bring to the table. Don’t sacrifice it for a slim chance of getting a job interview. If you misrepresent yourself on your resume, what ‘little white lie” while you tell in an interview, or on the job? We naturally get upset when we learn that some politician lied when their campaign materials state that he is a Viet Nam War veteran when actually he sat out the war because he had flat feet, potentially two lies in this one. While I caution against lying and exaggerating achievements, I do encourage clients to represent themselves in the best light possible. I will assume that your graduate work is directly related to the job you seek. Otherwise, there is no need to include it at all. If you are still pursuing your MA, working on your dissertation, then you should list your education as “MA in progress, anticipated December 2013” or just “MA anticipated December 2013.” If you gave up on it years ago, you may use “MA Coursework completed.” By including the qualifying phrases immediately beside the degree, you make it clear that you haven’t quite made it. Project management is a very common skill that employers are seeking these days as they are less interested in people management skills. Having this phrase in your resume will help you when applicant tracking systems are searching for specific keywords. 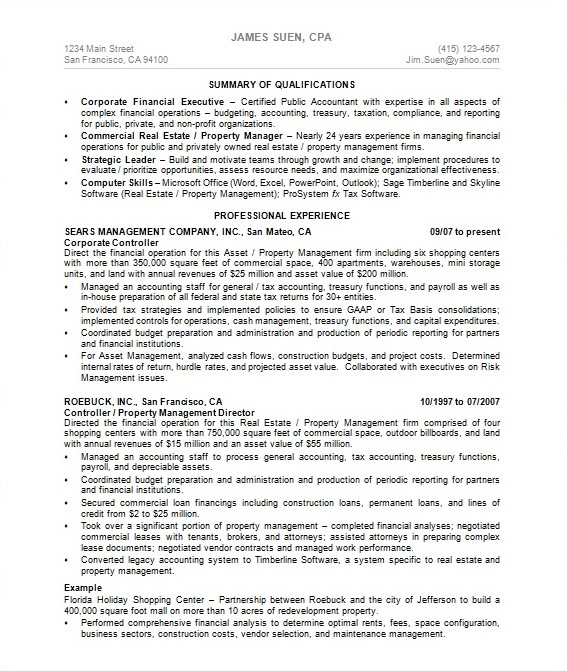 Additionally, listing the specifics will tell the hiring manager which phases of project management you have performed. If, in fact, you were also responsible for keeping the project on budget and you did so, add that in as well. So, you can see that there are ways to highlight your achievements without misstating them. I conducted a six month job search and finally received an offer for the position I want. I followed your advice regarding how to resign my current job, and was surprised when my manager asked me what it would take to keep me. She said she’d try to get me a salary increase if I stayed. Now I’m confused. I feel pulled in both directions. What should I do? Historically, accepting counteroffers often results in career suicide. If you’ve withheld information from a recruiter or hiring manager, she may feel that you haven’t cooperated in good faith throughout the interview process, giving you a reputation for dishonesty which will not be good for your future career. The potential future employer will have a tarnished view of you, and while initially satisfied to have kept you, after a while, your current employer will remember that you’d been unhappy. Your current manager may fear that you’ll be looking again soon, and not be inclined to consider you for better assignments or career advancement, creating a self-fulfilling prophesy. Unhappy once again, you’ll resume your job search. Statistics indicate that most employees who accept a counter offer are gone anyway in six months or so, leaving a bitter taste of disloyalty for everyone involved. Whatever your reasons for looking for a new job, they’ll still exist after accepting a counteroffer; unless your search was motivated solely by money. There is much controversy about whether or not this question should be asked in an interview. I personally don’t like it, but I help my job seeker clients prepare for it nonetheless. I asked this question on LinkedIn recently and received many comments. Please add yours to the mix. This post explains how I feel about it. What do you think? What is the interviewer really trying to find out by asking this question? An unscientific survey provides three primary reasons, only one of which is sincere, and even that one isn’t likely to result in obtaining the desired information. Sadly, the most prevalent reason for asking this question is that somehow, somewhere years ago, it was placed on a list of standard interview questions. I.e. it is asked because interviewers think they’re supposed to ask it!! They don’t really know what they’re trying to learn by asking it. The second most common reason the question is asked is that the interviewer just wants to see how the candidate reacts, what s/he says, that the actual content of that response is unimportant. How will s/he fit in with my team? This last reason conveys a sincere desire to assess the candidate’s honest view of her/himself. However, given the highly competitive nature of interviewing, candidates must opt to present only their positive characteristics. How do they know if this information will be used against them in the decision process? It is fascinating that many interviewers continue to ask this question when they themselves dread getting asked it when they are on the other side of the interview desk! Nevertheless, the question is asked and you need to be ready for it. Here’s how. Much has been written about how to respond. I don’t have any weaknesses. This is disingenuous and implies that you don’t take the question seriously. I am a workaholic. This response is intended to convey that you will be totally dedicated to your job and that this really isn’t a weakness at all. It’s on the right track but not a good answer because even if it’s true, it may convey that you have an overly intense, rigid personality. More likely, the interviewer will assume that you’re just trying to take an easy way out of answering the question. Early in my career, as an individual contributor, I prided myself on being an expert problem solver. I would focus on an issue, analyzing pros and cons, until I came up with the best solution. As I have taken on increasingly responsible leadership roles, I have learned that it is better for me to delegate to team members. This has increased the confidence of individual team members, allowed the team to work better as a whole, and has actually resulted in more creative solutions. I was hired by my current employer even though I had no experience using Excel. I realize that I got the job because I had the other required skills and the job market was hot. Nevertheless, I recognized that this was a weakness that I could not afford to have if I wanted to succeed in my job. I took classes on my own and spent many hours developing expert skills in Excel. It was difficult at the time but now I am confident that I can learn almost any new skill if I try hard enough. Not only do these answers allow you to respond to the question sincerely and not point out a current weakness, they also allow you the opportunity to convey additional positive traits. What is the hardest interview question? • What is your biggest weakness? Which one is the one you hate the most? Is it one of these or something entirely different? Please tell me how you really feel! You should thoroughly prepare in advance for an interview. That means writing, yes writing, down answers to questions you may be asked. No, you don’t get to skip these in preparation because they’re difficult. Not having prepared answers just makes it even more difficult to answer them. Conversely, having a clearly thought out answer ready when asked will put you way ahead of the competition. You wonder, what do they mean? How far back should I go? No, the interviewer does not want to know that you grew up in a small town in Alabama with three sisters and a brother. What they want to know is, what have you done previously that shows me that you will be successful in this job at our organization. In other words, why should we hire you? When preparing for an interview, carefully match your achievements and expertise to each of the responsibilities and requirements on the job description. For each item on the job posting, write…yes, there’s that word write again…write one to three complete sentences that describe what you have accomplished that fulfills that specific responsibility or requirement. Make sure your sentences are clear to someone on the outside and not full of insider jargon. Make sure that your sentences are complete with the right subjects, verbs, nouns, and adjectives and that they are not just a few bullet points. When you are relating these stories in the actual interview, this trick will keep you from rambling. One of the most common failures in an interview is the tendency to ramble. Not only do you convey that you cannot communicate well, you are also likely to say something you shouldn’t say. Just like a politician…stay on message! After completing this exercise, go back through the job responsibilities and review your company research. Then determine what your message needs to be. What are the 3 to 5 characteristics about you and your background that you need to convey in the interview no matter what? Of course, these characteristics should relate directly to the job for which you are interviewing. If you have an achievement that makes you proud but it is in no way relevant to the job, do not include it in your list and do not bring it up in the interview as an important attribute. Stay focused on what the interviewer needs to know about you in order to decide to hire you for this job. This message is similar to that of a politician. Everyone remembers that President Obama’s campaign message was “change” and specific areas that he would change. That is precisely why he was elected. Change is what the voters wanted. A job interview is your opportunity to convey that you can deliver what the interviewer and/or hiring manager wants. It is your responsibility to ensure that you convey this information during the interview no matter what questions you are asked. You don’t want to leave an interview and realize that you didn’t have a chance to discuss one of your message points just because the interviewer didn’t ask you. You must figure out a way to insert all of your message points into the conversation. So, back to the initial question. If you are asked this one, what better opportunity could you have for delivering your message? No need to worry if you’ll have a chance to slip them all in one by one. This is the best chance you’ll have to deliver your message. By now, you understand why these two questions are the same, and you are ready for them, no longer fearing them, but hoping for them. Stay tuned. I’ll address this question in my next post.